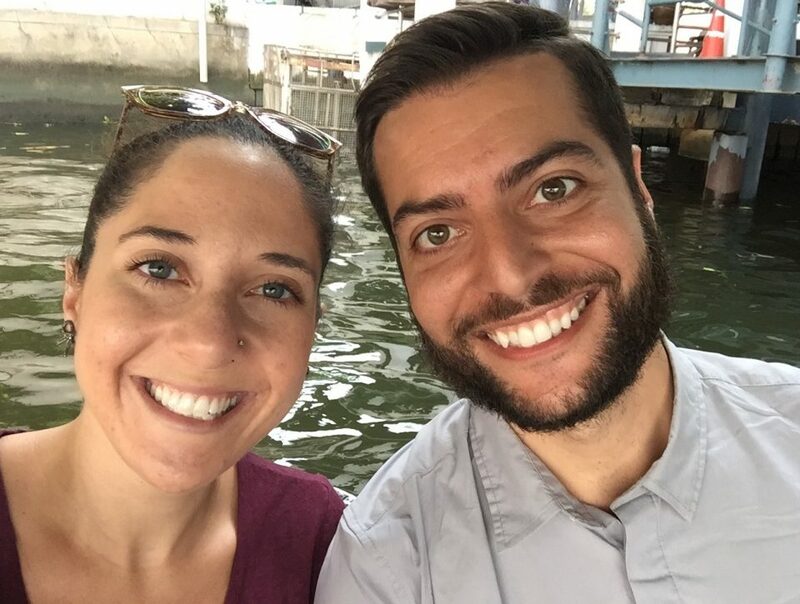 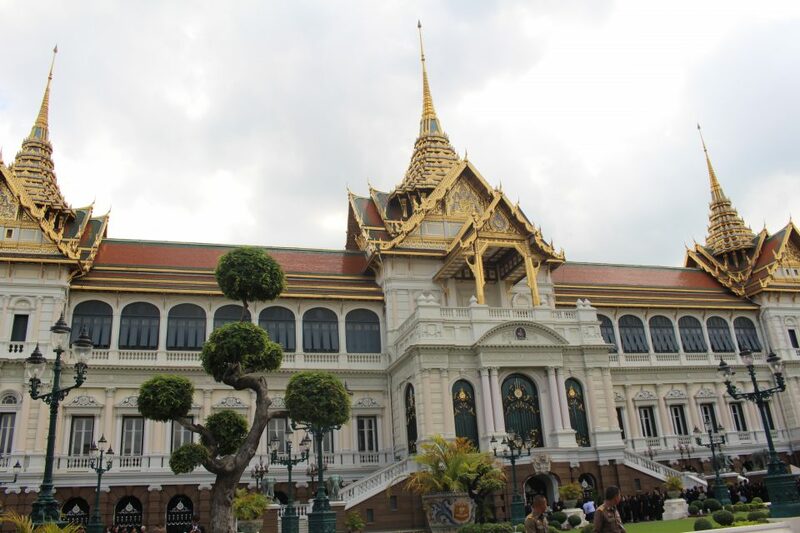 On our way via water taxi to visit Bangkok’s Grand Palace and Temple of the Emerald Buddha! 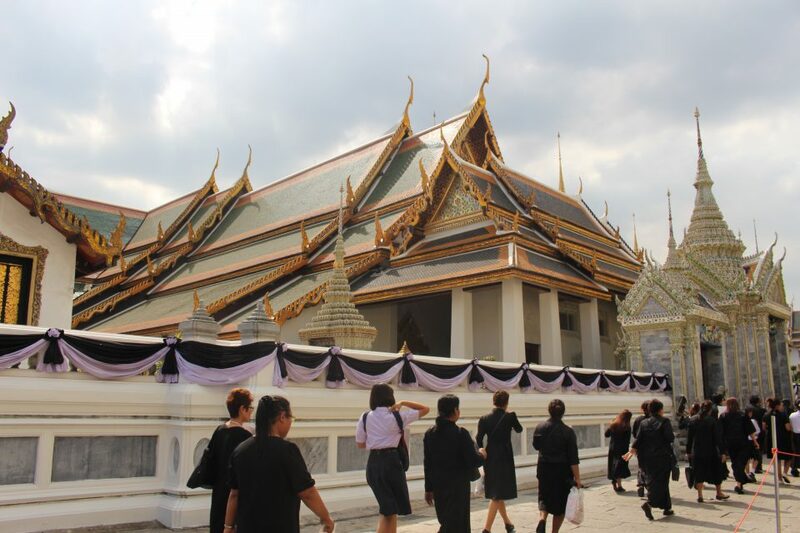 First, we arrive at the temple. 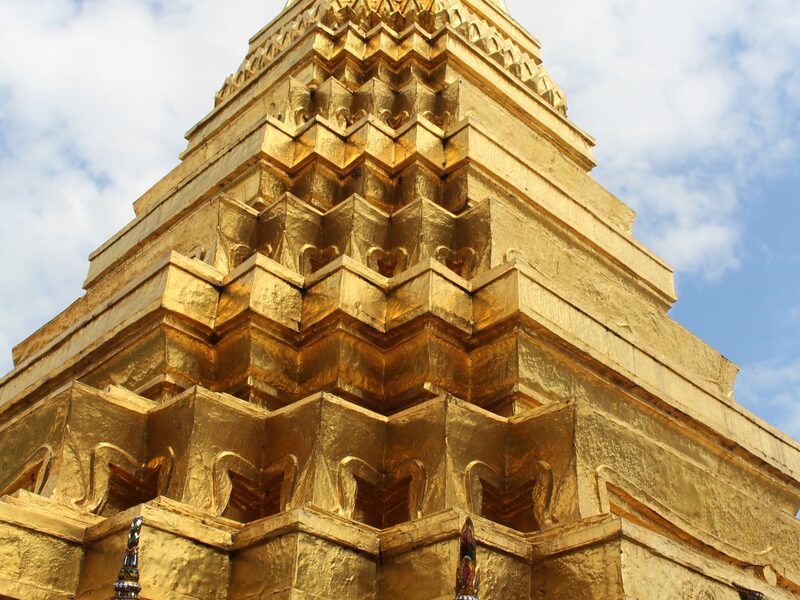 Gold everywhere! 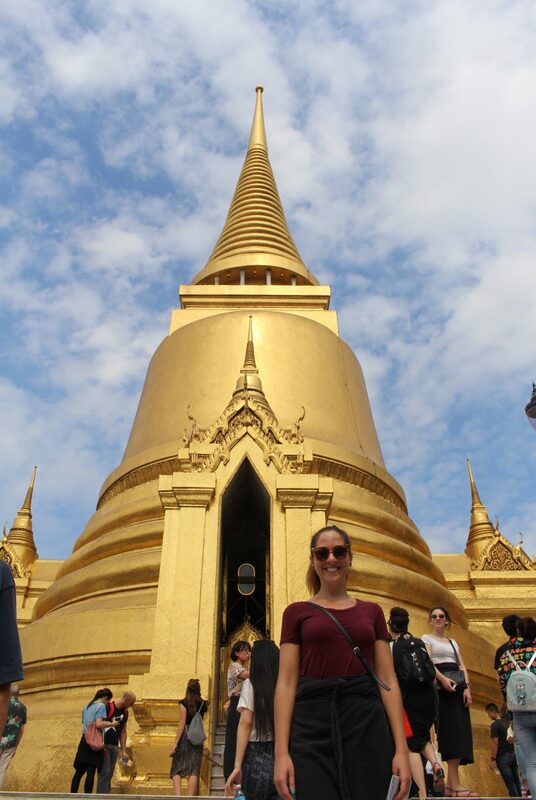 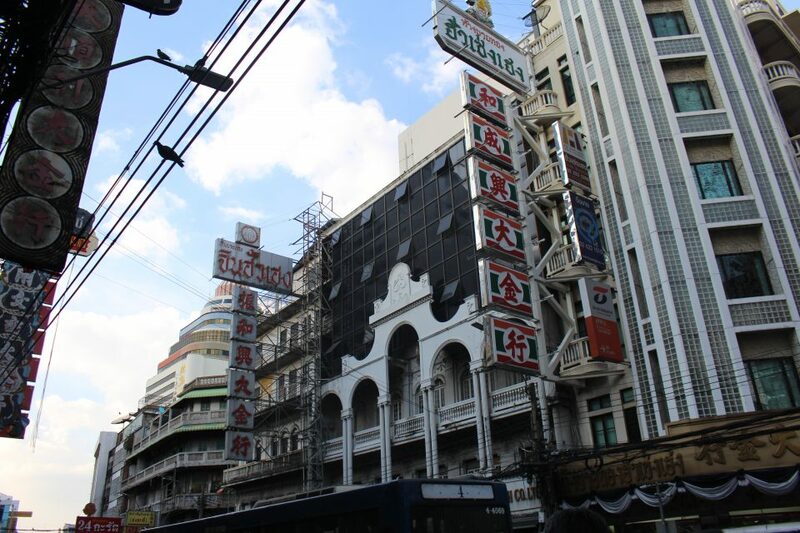 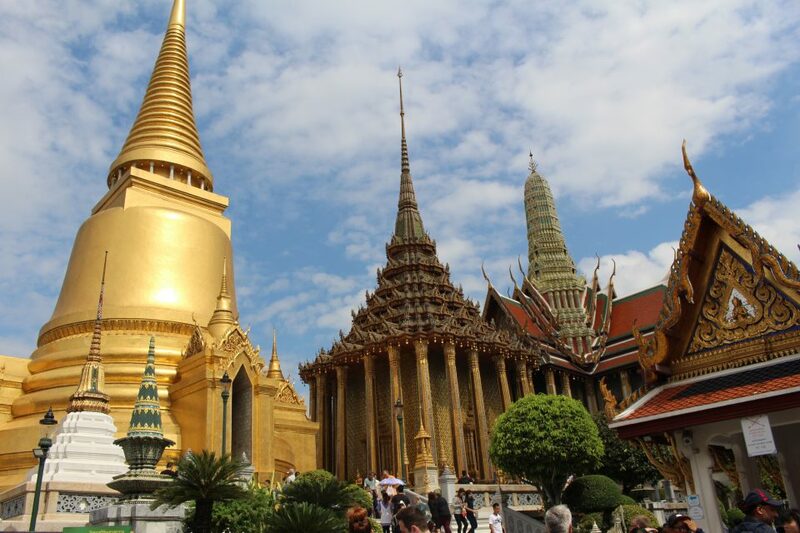 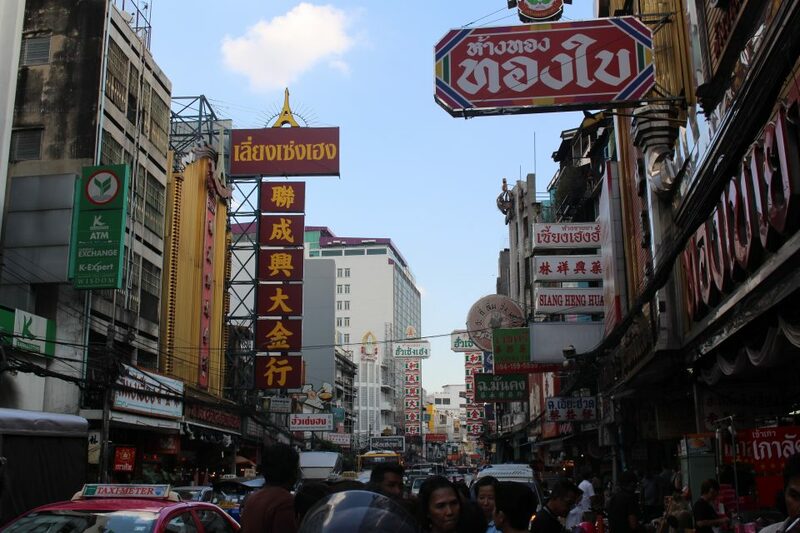 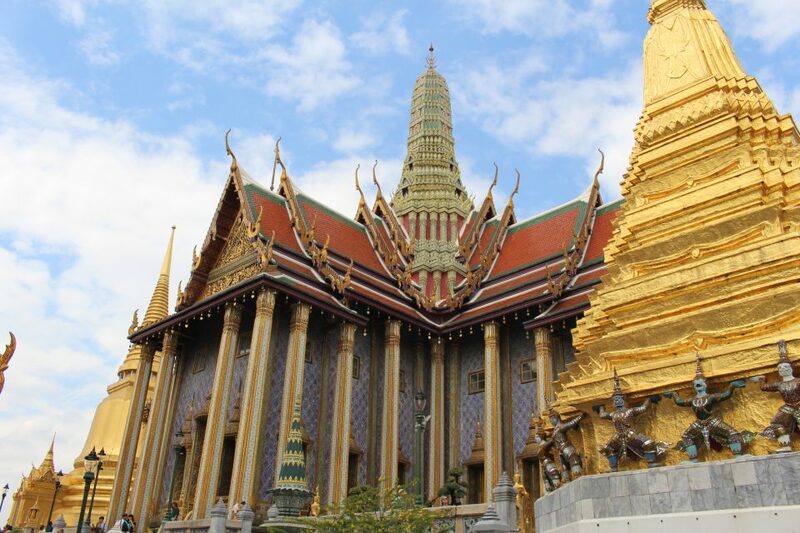 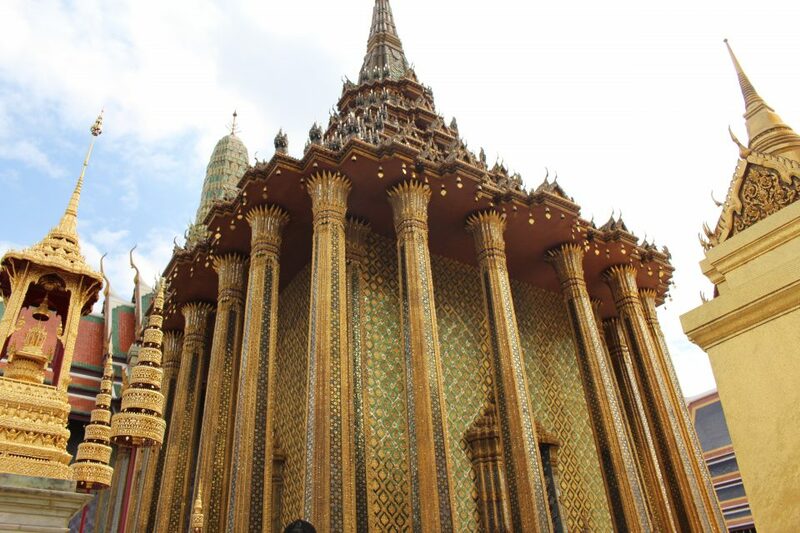 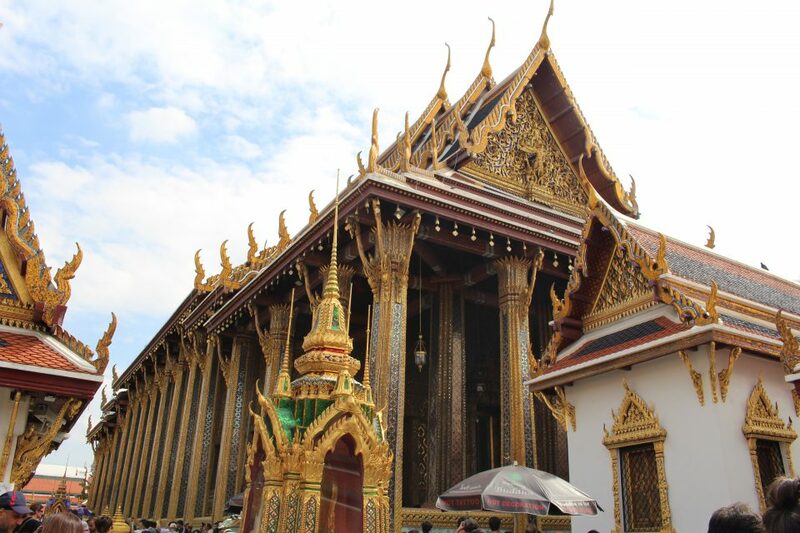 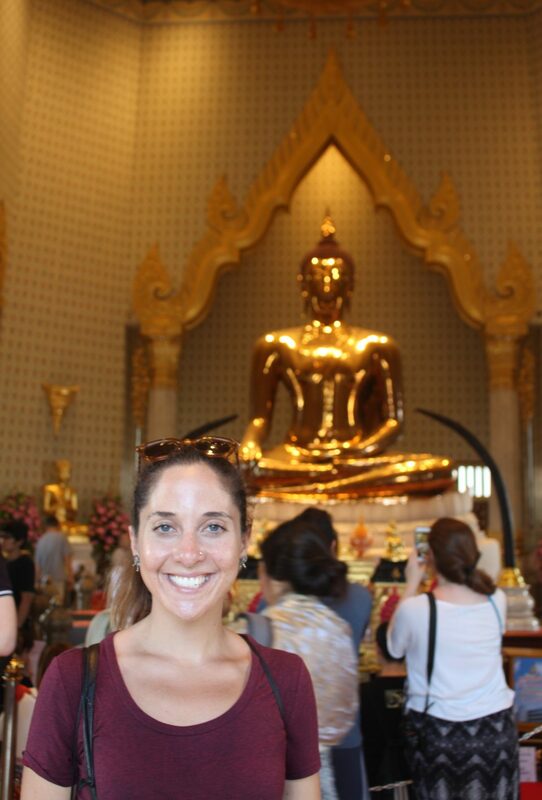 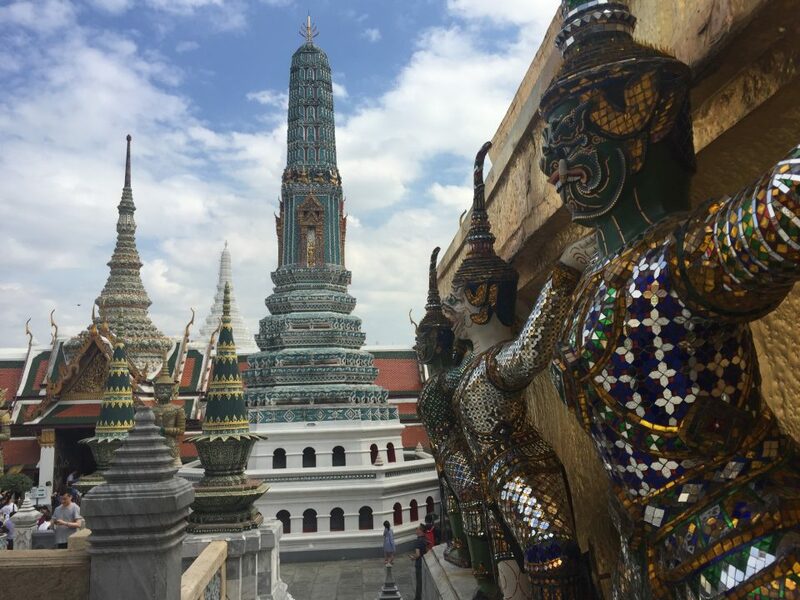 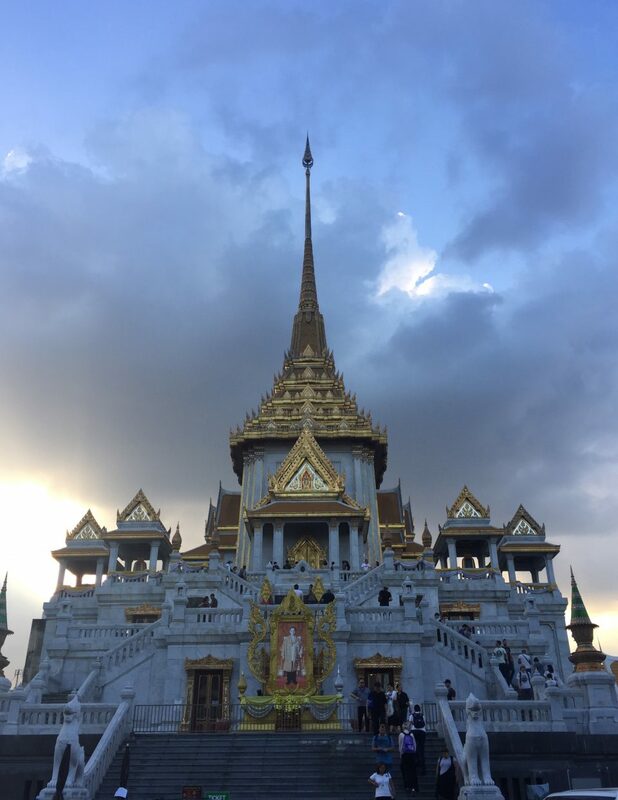 The emerald Buddha is inside of the above building. 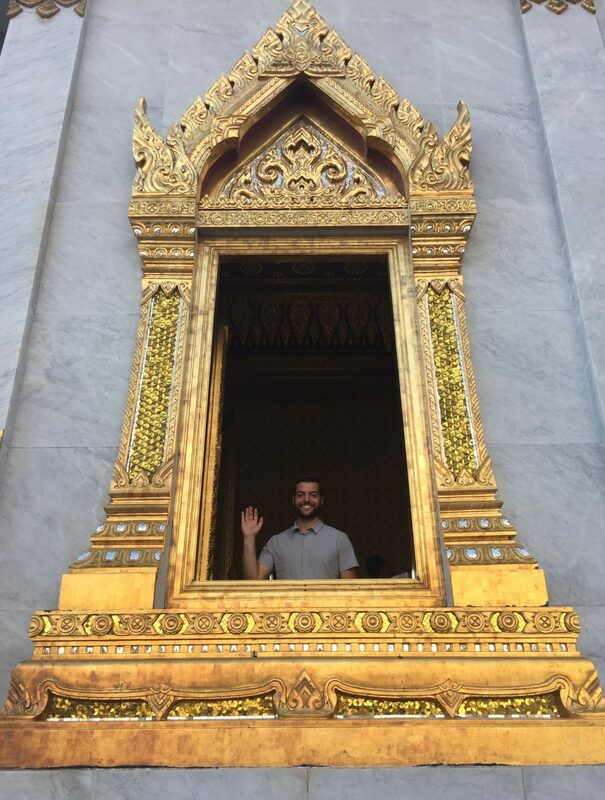 Photos weren’t allowed, but let’s just say there is as much gold inside as outside. 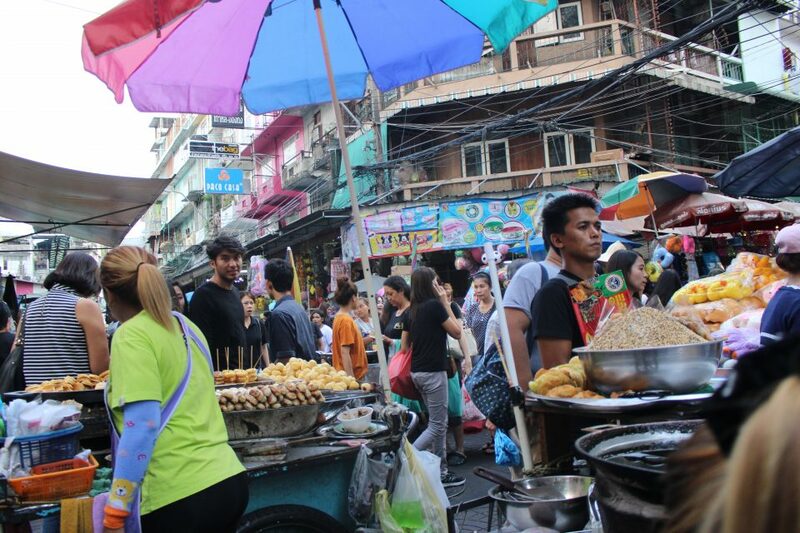 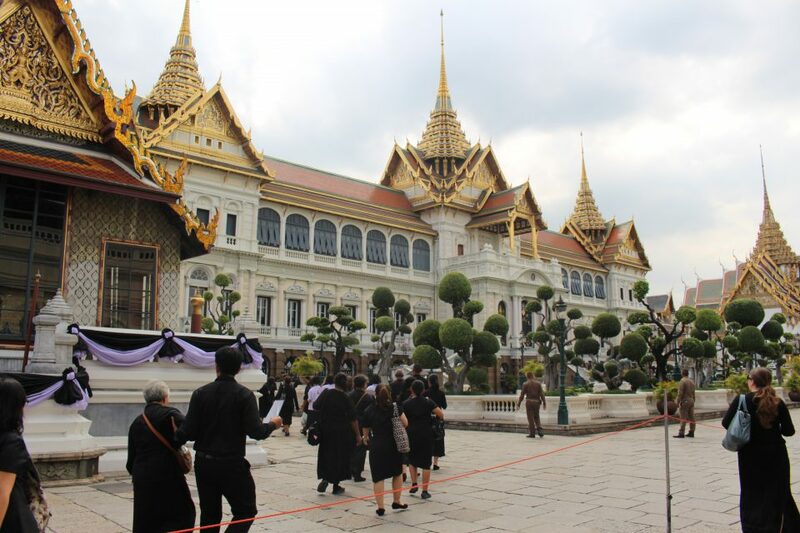 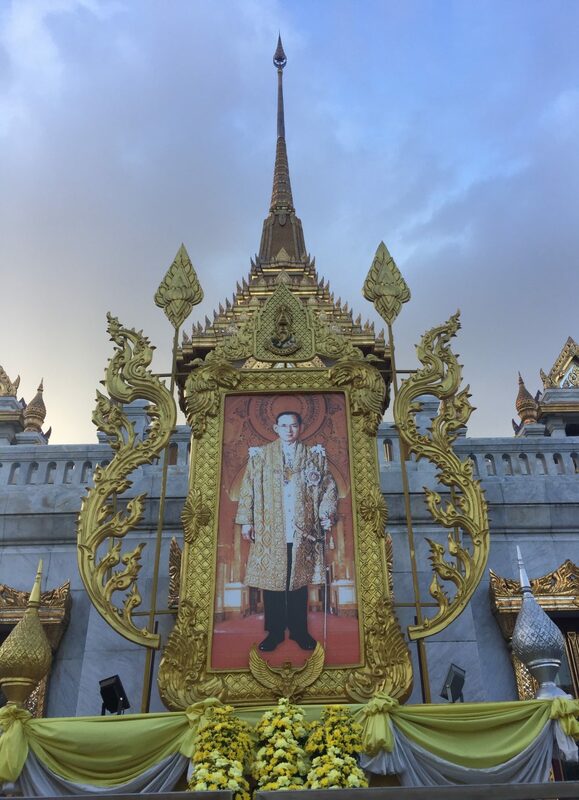 When we reached the Grand Palace, there were long lines of Thai citizens paying their respects to the late king who sadly passed recently after 70 years of reign. 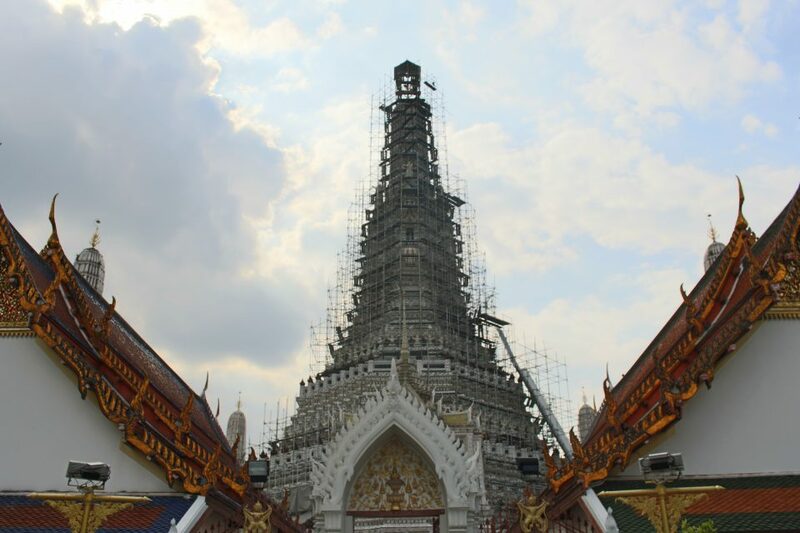 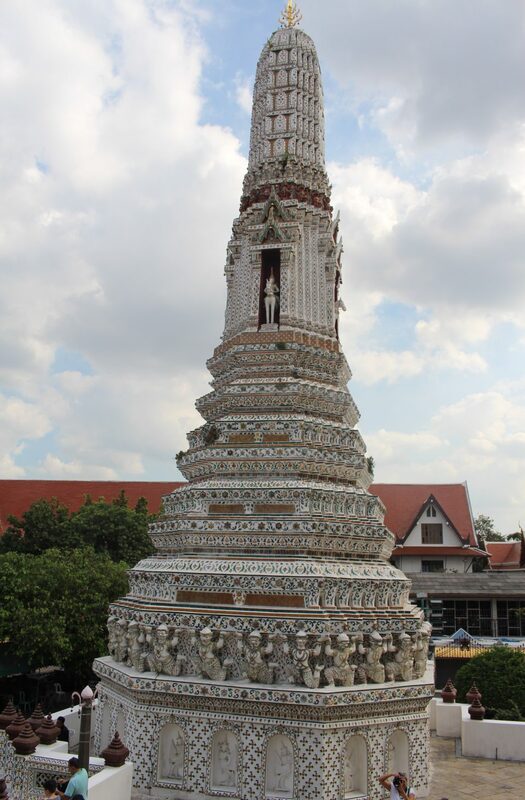 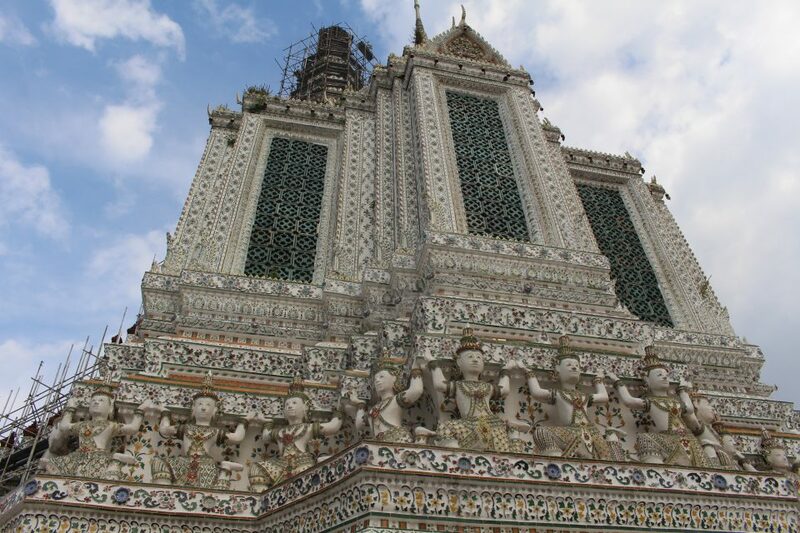 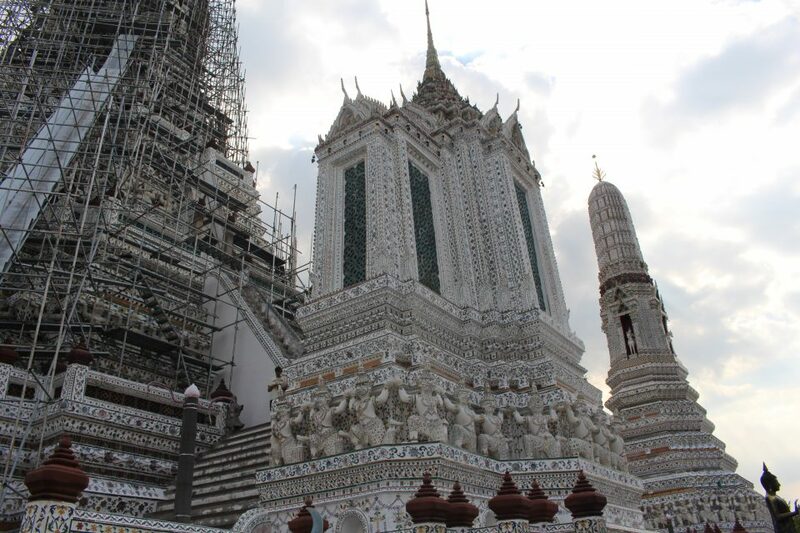 Wat Arun is currently under construction, but still looks impressive at this stage! 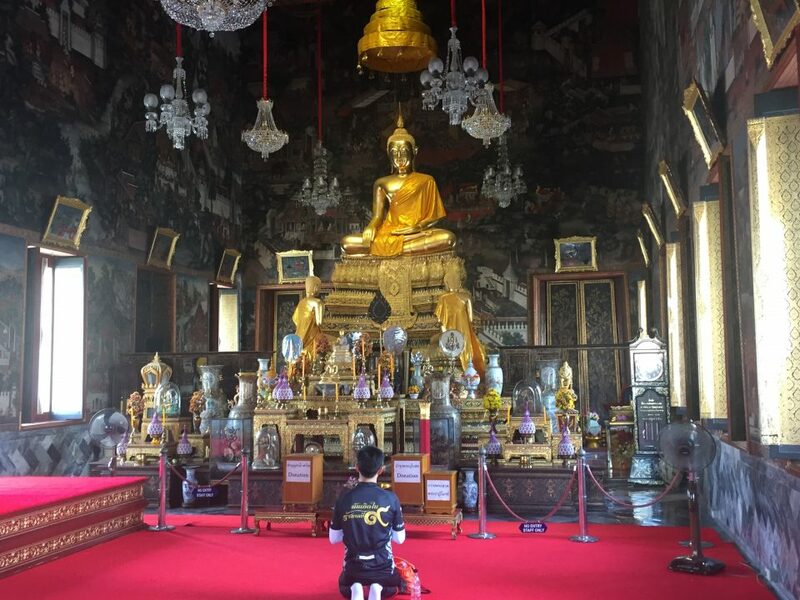 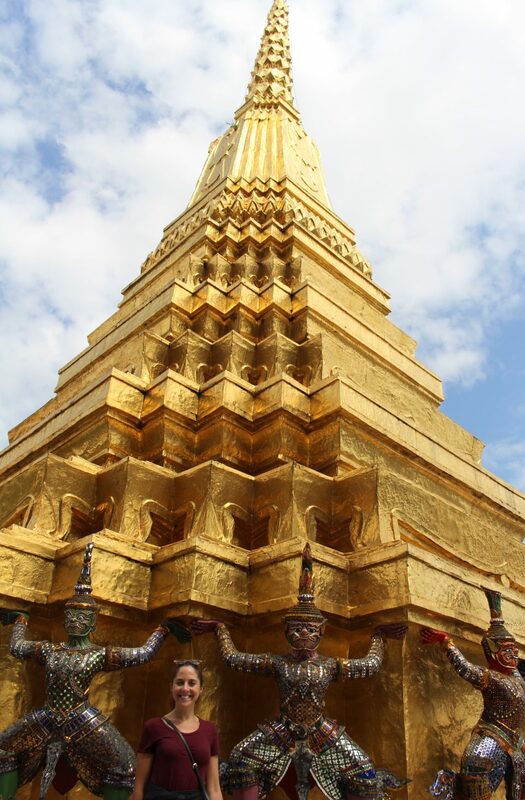 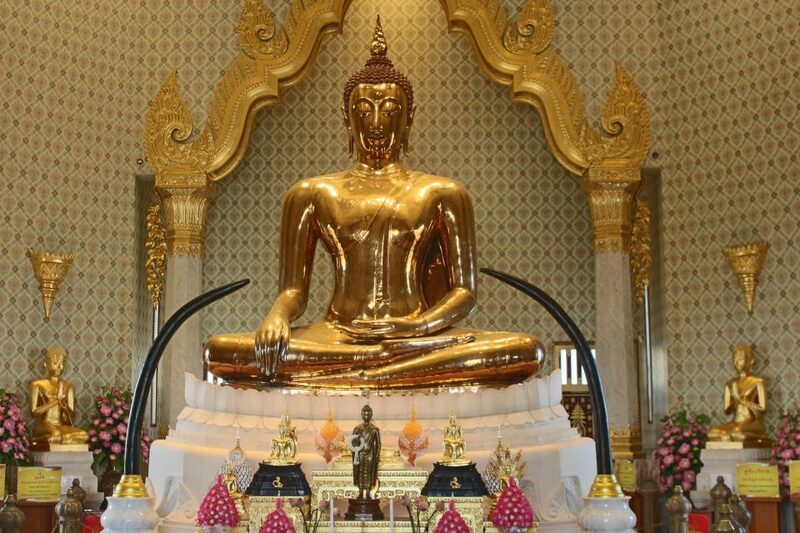 … and we behold the solid gold sitting Buddha in Wat Trai Mit, largest of its kind.